Thanks for sticking with us so far this year. It's my hope we're drawing ever closer to meeting our goals for 2017, and so let's get on with the updates. Chronaldragon has enabled post edit, reply, quote, and deletion as a set of icons for each of your posts. The delete feature was definitely a very crucial thing to have and I'm frankly surprised we had survived so long without it. If you have double posts and are embarrassed about them, now's the time to hit that X button. Software projects remain at the heart of Handmade Network, and we like to re-evaluate the ways we support each project. At the moment the Handmade Dev team has agreed we need to establish a decent way to list projects and categorize them based on their current status. Chronaldragon is taking the charge on this one. I wanted to start with expressing gratitude towards the support I got when summarizing my three years of experience at Kennedy Space Center. 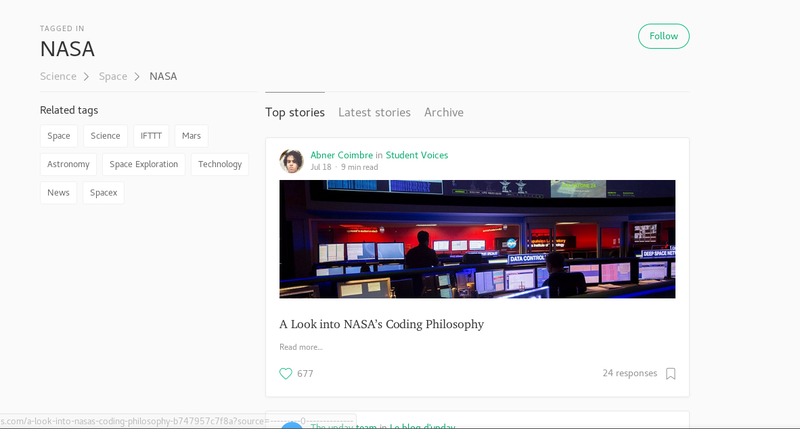 The feedback to the NASA article has been overwhelmingly positive and at the time of writing, it sits as Medium's top story under NASA and the second top story in Computer Science. Seeing the contents of the article discussed on Hacker News, Reddit, and Twitter has proven to me people are hungry for no-nonsense programming -- the kind that tries to abandon unrealiable sources of knowledge in favor of increased computer literacy. Although I encouraged people to purchase CS:APP, not everyone has the resources to do so, and this is where Handmade education comes back into play. As you know, I have meetings every other week with fellow authors preparing lessons for the website (with our beta testers now present as well). Although you haven't been able to see our drafts, it does not mean we don't have interesting content that's been developed over the course of 2017. Like I mentioned on the podcast at the beginning of the year, this is a yearlong effort. However, we're at a point where I think we can have a (live?) podcast with some of the authors so everyone gets a sneak peek on the upcoming content. The podcast date will be announced August 10th here on the website, after we've had our next meeting. Thank you for being patient with this initiative! Handmade Matrix Server - Release Date? For our upcoming Handmade Matrix server, we've figured out our data storage policies (e.g. how random attachments will get deleted after a certain amount of time) and how we'll deal with the bridge. Specifically, IRC users will benefit from Morpheus, a project by insofaras. He currently has access to our server and the experience has been smooth, although he is of course actively ironing out the kinks he warns of on GitHub. As for a date on when we'll release the server for public access, we'll have it by the time the next monthly news arrive. Some of you are definitely pining to reunite the chat communities across Discord and IRC into one, and so am I. But, among other things, we want to make sure the existing Handmade Network user database and new user registrations integrate well with the chat system. Kelimion is taking the charge on this one, and he is very adamant about security. Although it's always annoying to wait for things such as access to a new chat or being able to study the promised educational content, we promise it'll be worthwhile. This community has made it pretty far, and I trust it'll continue to do so. As I said on the Handmade Education section, I'll see you on August 10th!